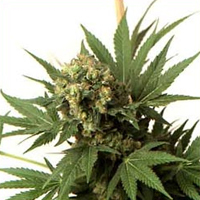 KC Brains White KC female Seeds produce a ‘Mostly Indica’ cannabis plant with Photoperiod genetics and a flowering time of 6 weeks. 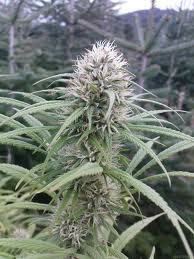 Buy KC Brains White KC female Seeds at the lowest price online now! White KC is mostly indica. 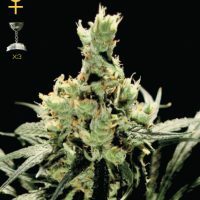 It is KC Brains’ marijuana cross between KC606 and a Real White Lady (White Widow, Afghani and KC33). Her seed has been developed specially for indoor cannabis gardens, this is a strain that produces a great harvest with minimum comfort. 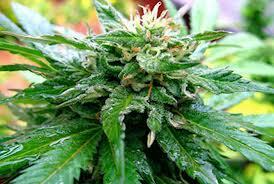 As both parents of this cannabis strain are very consistent, the offspring is very consistent too. 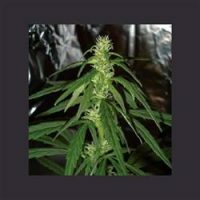 Plants growing from these cannabis seeds have very interesting look, they are short bushy with wide dark green leaves which make a perfect cover for a thin sturdy stem. As a typical indica, White KC is easily flowering. First flowers appear already in 6 weeks and soon turn into compact buds covered with white shiny crystals. 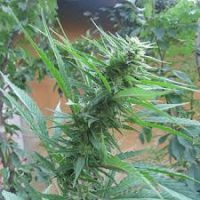 This cannabis variety has a short maturing period; the harvest can begin September and carry out through October with as much as 120 gr. of product per plant. Though this seed was designed for indoor growing, White KC shows excellent results outside too in temperate zones but gets fussy under more challenging extremes. This petite lady will there stretch up to 2.5 m. with incredible 900 gr. of yield! 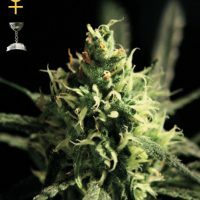 This unique cannabis hybrid appears to be a promising therapeutic choice for medical users who like their buds white, chunky and formidable in effect. Noble lines of the White Widow, Afghani and KC33 give her spectacular resin coat. The soft, lightly floral taste is followed by an immediately anesthetizing effect.